Description: VF. Rare. 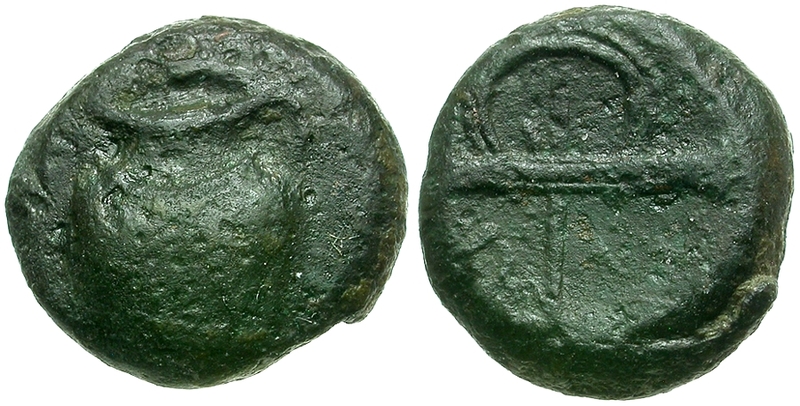 One of the only depictions of an ancient bird snare on coinage.